We understand food systems, whether local, regional, national, or global in scope, to encompass three primary components: production/supply, aggregation/distribution, and access/consumption. These components are interlocked and interact with each other to create a complex system. 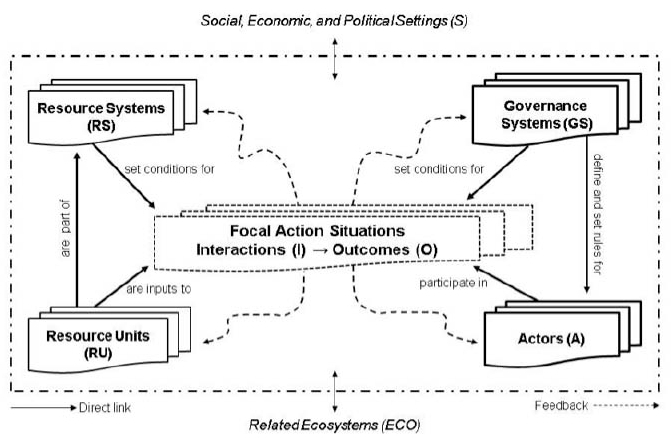 We take a novel approach to meet the need for systems thinking across disciplines, building on Elinor Ostrom's (2009) Social-Ecological System (SES) framework to analytically underpin this research. 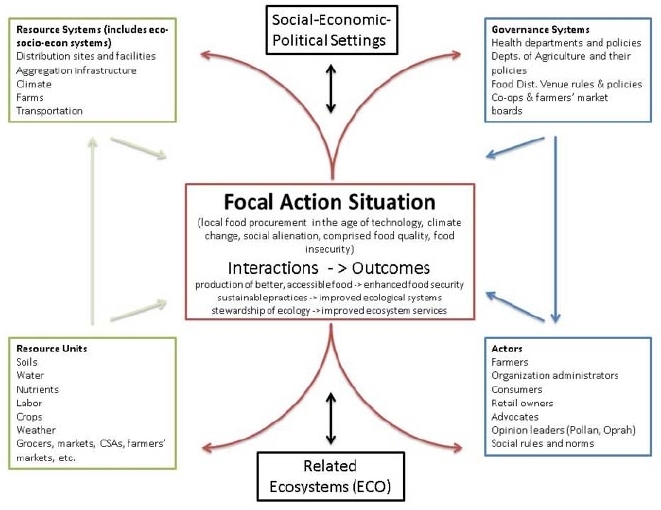 Team members Farmer and Robinson, as illustrated in Figure 1, tested an adaptation of the SES framework to interrogate food systems by comparing two systems and identifying leverage points important to sustainability and divergence of outcomes in these systems (Robinson & Farmer 2017). Further work by the EAR team will continue to build on these findings, revising and reworking the framework in terms of theory, descriptiveness, application, governance politics, and justice. 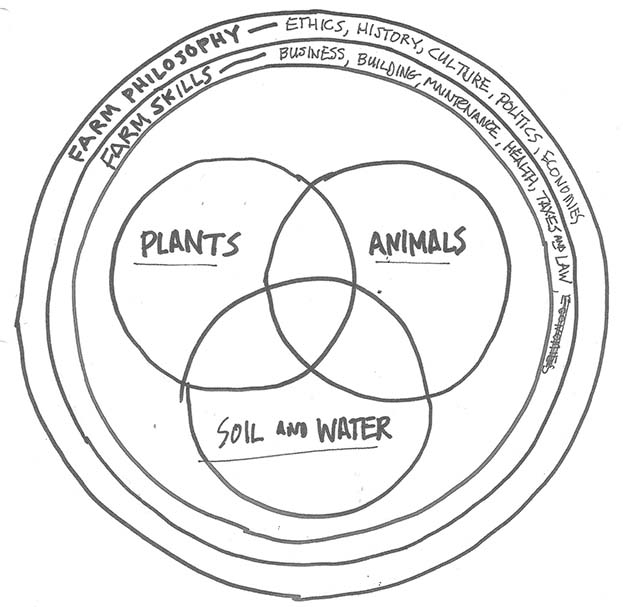 A major accomplishment of the work stemming from this proposal will be that it gets research-based experts deeply immersed in diverse contexts, methodologies, and theories to collaborate, cutting across silos to create integrative theories and models robust enough to address the nested, multi-scalar complexities of the real world.